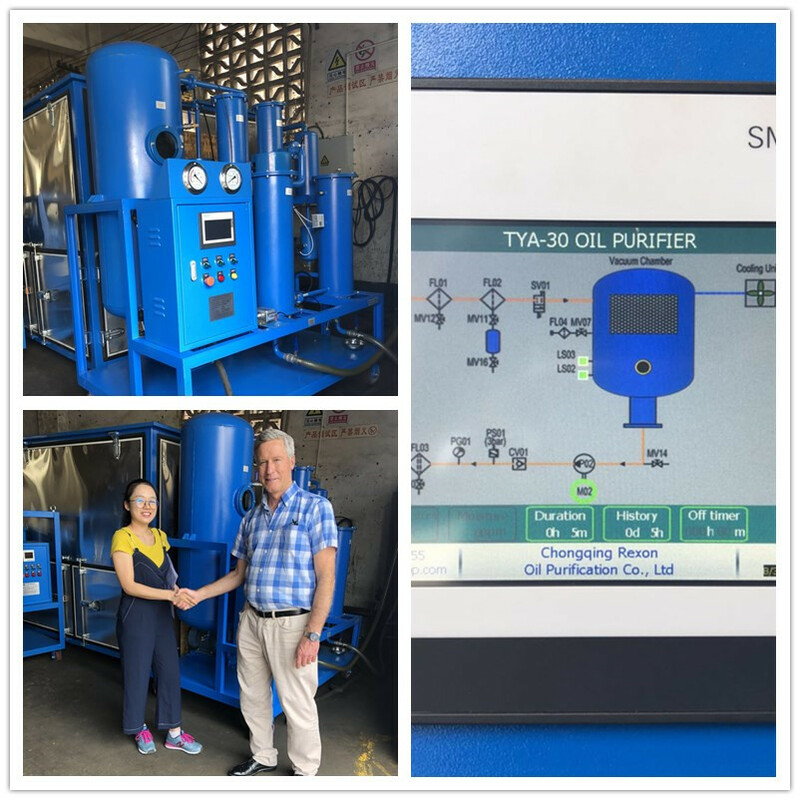 We just finished the Australia customer inspection in factory successfully for the multifunctional vacuum oil purifier TYA-30, which can deal with various kinds of contaminated dirty industrial oil like lube oil, hydraulic oil, engine oil, compressor oil, used cooking oil for bio-diesel or bio-fuel. TYA-30(1800Liters/Hour) can process and purify 1800 liters oil per hour, it can high efficiently remove the impurities, tiny particles, free water and dissolved water from oil. After the purification process, the treated oil will become freshly cleaning and high quality standard for reuse. This time we have a great meeting, and our customer is very satisfied with our vacuum oil purification system, and admitted our advanced technology and high quality raw materials for the equipment, and committed to us will have more cooperation with us in future. We REXON team sincerely welcome every customer to visit us and to do more business cooperation on oil purification processing area. We will always to be your most reliable supplier.